I have now been at the BSO for a year, and during this time so much has happened. When I started last June, we didn’t have a composer, no performance dates, an ensemble name or any musicians! 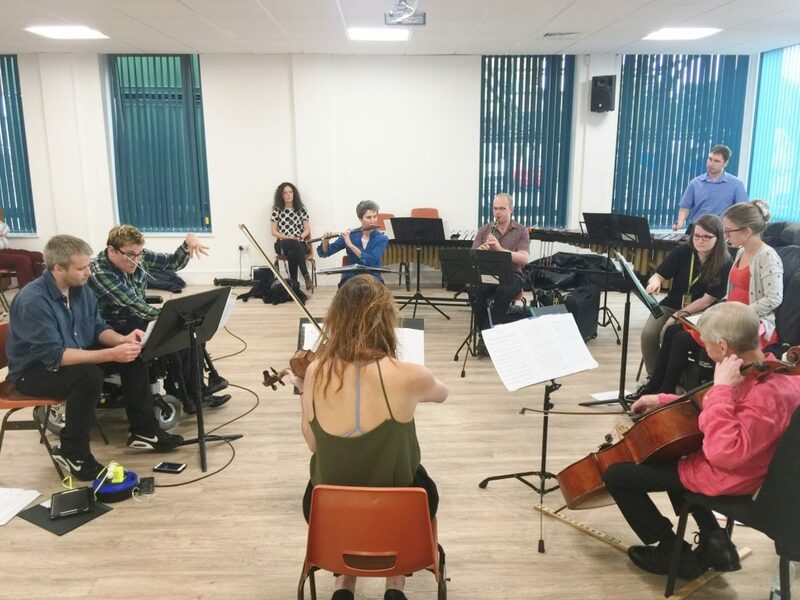 In twelve months, we have gone from plans and ideas to featuring in national and international media coverage, finishing our first Schools’ tour and are now we are just months away from performing at the BBC Proms! If someone told me when I started that we would have achieved so much in year, I would not have believed them. It’s been an incredibly exciting (and busy) first year with the BSO, and the next few months look just as busy and exciting! It’s been a busy time for BSO Resound recently, last week we began our schools tour. Over the course of the week, we performed at three Special Educational Needs and Disability (SEND) schools across Dorset. Each concert was roughly 45 minutes featuring works by Mozart, Bach, Dvorak, Beethoven, Rachmaninov and Gershwin. Each concert was followed by a 15 minute question and answer session with the pupils who watched the performance. It was brilliant to be able to perform for these schools, and answering their questions. 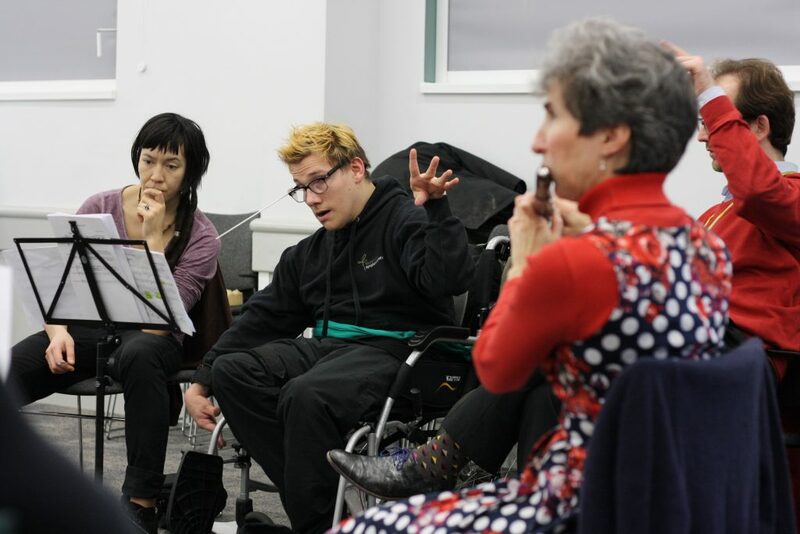 We had a few questions about the less traditional aspects of our ensemble, for example they were interested in Charlotte’s LinnStrument and my head baton. Educating people about these less traditional instruments or methods of music-making is an important part of the work we’re doing; showing that there are lots of different ways of working and performing. It was a great experience to be able to share our music with the children and young people at these schools. I believe that expectations for ‘disabled’ young people need to be increased, so that they are encouraged to achieve instead of being wrapped in cotton wool. Of course, I say this whilst keeping in mind that the expectations need to be tailored to each individual. But an important part of the work we’re doing is inspiring the next generation of musicians, showing them that opportunities and possibilities are available to everyone. After months of rehearsals, it was great to be able to finally perform and see what type of response we receive as an ensemble. I’m pleased to say that it was a very positive response! The feedback we had from the schools was fantastic. 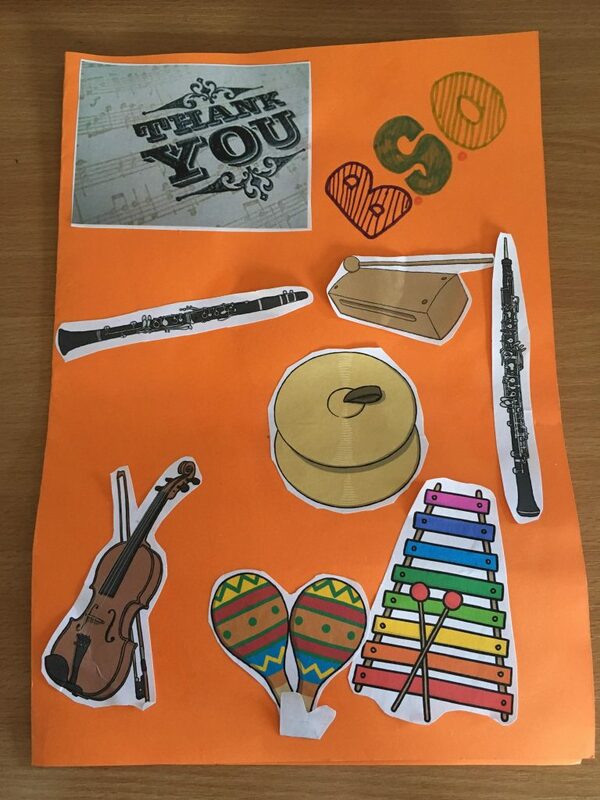 We had teachers and children coming up after the concert to tell us how much they enjoyed performance, giving us high-fives, and one school made a really lovely thank you card for us. The past year has had many highlights as well as a few challenges. The greatest challenge for me has been trying to combat tension in my body whilst performing, something which many musicians are faced with. Put simply, the more tension you have, the more difficult you find it to play your instrument – it’s exactly the same with conducting. My tendency is to tense up with the musical narrative but I am starting to realise that it is not a good thing at all. The tension makes it so much harder to conduct and I end up hurting my back. Combatting this is an ongoing process but I am making good steps forward. I have purchased a spine corrector and that is helping me to sit up, which means I don’t need to do as much physical work to get the same outcome. One of my highlights so far, of which there are many, has been the post-rehearsal nights out with BSO Resound. A few weeks ago, we were in Bournemouth and some members of BSO Resound went out for a meal after a day of rehearsals. It was during this meal that I realised how far we have come and the way we are getting tighter not just musically but as a group. I did have a bit of an inside weep at that point. We now have an ensemble. As the founding conductor still training (arguably, training is never complete, but anyway…) winning over trust from other members of the ensemble has been one of my personal achievements which I’m consistently working to build on. I’m looking forward to see where we get to in another month’s or two time!